September 2013 has been an unprecedented experience for the residents of Suwon‘s Haenggung-dong neighborhood. Through the EcoMobility World Festival, a mise-en-scene real-time experiment of ecomobile living, the unassuming residents in the ancient core of Suwon have learned through direct experience the challenges and the thrills of closing the doors of their community to cars for an entire month. Envisaging a city without cars was unimaginable for Suwon residents until Suwon, ICLEI-Local Governments for Sustainability and UN-HABITAT rolled out the EcoMobility World Festival project. Doling out a 13 billion Korean won investment, Suwon renovated street infrastructure and equipped residents and visitors with alternatives to driving private automobiles. “Like many residents, at first I could not imagine life without cars,” said Doo Chang Wuk, a retired government employee. After initial consultation with neighbors and city officials, Doo discovered that “there were plenty of residents who think they could get rid of their cars, but only doubt if their neighbors would be able to“. With more than one million visitors, the Festival showcased a diverse fleet of 35 unique types of vehicles, ranging from velo-taxis, light-electric vehicles, bike trailers, reclining bicycles and three-people cycles. Aside from these being available in various test tracks and free rental stations, over 500 vehicles were distributed to business owners and households upon their request. An overwhelming majority of residents and visitors were satisfied with the ecomobile experience, citing fresher air, low noise levels and being able to move around freely and safely by foot, cycling, wheeling and passenging as prime reasons. “I went around the Festival area and realized that I want this. If this does not happen to my neighborhood, I will move to Haenggung-dong!” exclaimed Kim Jeong Hyo, a resident of a surrounding neighborhood. 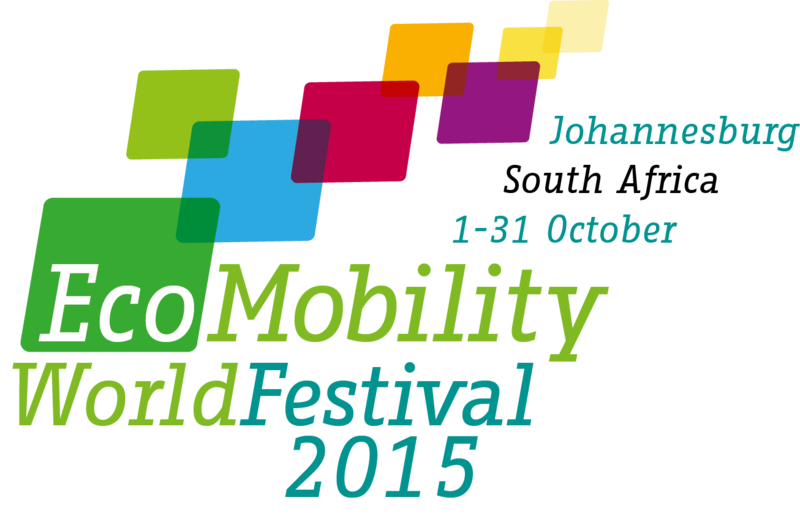 “The EcoMobility World Festival has been hugely successful. Not only has it reduced dependence on private cars, it has also demonstrated that vehicles of a human scale can make our cities more livable,” remarked Konrad Otto-Zimmermann, Creative Director of the Festival and Chairman of ICLEI‘s Urban Agendas. Involving citizens has always been at the core of Suwon’s environmental policies. The city has set the goal for each citizen to reduce half a ton of CO2 (equivalent to 50,000 tonnes for 100,000 households) by 2015. With 1,400 households registering nearly 600 tonnes of emission reductions for September alone, Suwon officials now expect that a city-wide expansion of ecomobility could further bring down CO2 emissions by 41,598 tonnes annually. From being 98% car-free (emergency and delivery trucks make up the remaining 2%), it now remains to be seen to what extent the cars will return to Haenggung-dong. Lee Young Son, owner of a cafeteria famous among taxi drivers, harbors the wait-and-see attitude in regards to making the neighborhood permanently car-free. “I now believe it is useful to do this exercise for a month. We will have to see if it can be retained for much longer but I am willing to try,” she said. The EcoMobility World Festival has inspired local government leaders around the world to show great leadership in their cities. By the end of the year, the ‘EcoMobility Suwon Impulse’ will be declared in cooperation with technical experts around the world, which will call on local decision makers to support their cities transformation into EcoMobility cities.